Tagged under Pink Hanamori, Actas, SynergySP, Series. Lucia as a young mermaid saw a young boy on a ship, when the ship was hit with a tidal wave the boy was knocked into the ocean. Lucia saves the boy and entrust him with her pink pearl. Now years later Lucia must now go to the surface and find and retrieve her pearl. She never expected to fall in love with the boy she met years ago. However there is a legend that says if she confess to him and tells him she's really a mermaid, that she will be turned into bubbles! She must now struggle against a villain wanting to capture her and all seven mermaid princesses and her own heart, which is complicated by not knowing if Kaito loves her human form or her mermaid form. As a whole, Mermaid Melody is nice, just kind of fluffy and happy and cute — nice. From the animation, to the somewhat commonplace story and characters, there were only a few notable complaints to draw. The series idled by at a steady pace, only ever stalling when the second season, Pure, came around. It was a mildly entertaining package of magical mermaids and toe-tapping songs, nothing that will (or intended to) knock your socks off. So, if you are not shoujo-tolerant, I'd find your kicks elsewhere. 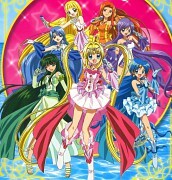 But, if you are, I'd say Mermaid Melody is worth the time and a — nice — revisit to the Magical Girl past. It isn't a bad anime, but i think this is for younger people like the age of 10 or 12, this is my opinion. It's cute if you are a child but if you are older it can be a little bit borring. Anyway, the couples are cute. This anime has a lot of music. 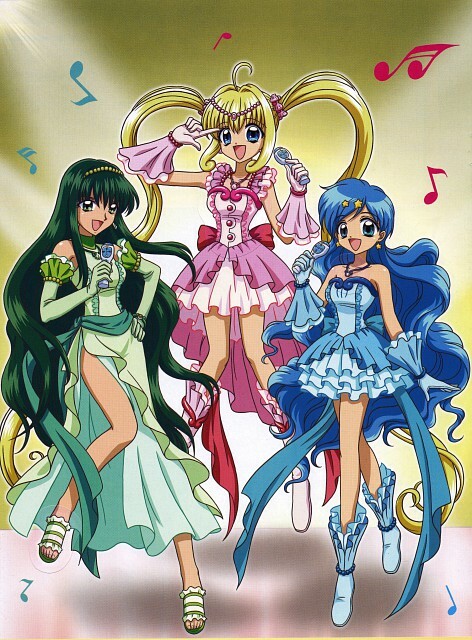 Mermaid Melody may appeal to those who love singing, mermaids, and all other cute and adorable things. I quite liked it when I was 10-11. But if you ask me to watch it again, it would only waste my time since this series could be considered for young girls of about (under) twelve. 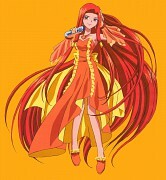 ^^;; The story is about mermaids, singing magical girl mermaids who sing to defeat their enemies. That's pretty ridiculous is you ask me. The plot and battles are really boring since they only 'sing' to defeat their enemies. The art is decent, mostly girls with super long hair and huge eyes. Although this series borders on kids, it's really cute. If you ignore that they defeat the enemy by "singing" then it becomes a normal teen love story between a mermaid princess and a human (kinda). The manga was alright, if a little fast, but the anime has fillers that some might not like either. *shrug* good all around if ya ask me.